Welcome to #TheSPARKies awards! The digital and tech awards for the West is heading back to Bath on 27 June 2019. 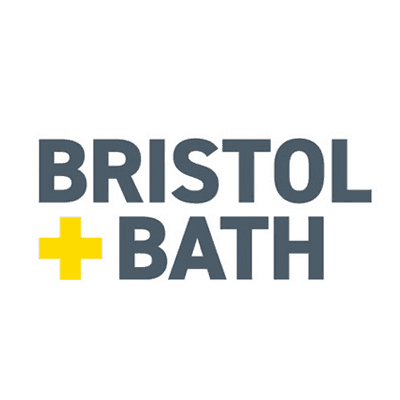 For the 7th consecutive year, we’ll be shining a light on the very best people, products and companies that make up the tech sector in Bristol, Bath and the broader West of England region. We can’t wait! This year the awards will be held in the UNESCO world heritage city of Bath on 27 June 2019 and if you’ve been to the SPARKies before you’ll know it’s a great night for digital debauchery, comedy and community with awards for everything from outstanding tech startups to mentors, hardware, virtual reality and more. 16 categories representing the brilliance of the tech scene in the West up for grabs. We’re celebrating the entire local tech spectrum – including those wonderful people and companies that work tirelessly to support and grow the cluster. The nominations are now open for this year’s awards, so head here to cast your vote for the most exciting tech founders, mentors and organisations in the West of England. Don’t be shy, feel free to nominate yourself; last year we had over 300 nominations and we want to break that record! We’ll be announcing our amazing group of judges soon, and they will decide the winners, making all those hard decisions so that we don’t have to! Make sure you get your Early Bird Tickets now! Tickets go up at full price from 1 May. Like to get more involved with the tech community in the South West? 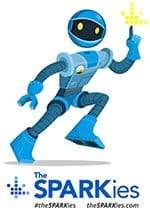 Why not join the volunteer SPARKies team in 2019 to help run the awards – it’s a lot of fun!